single channel edit 8 min. 46 sec. Not Yet Tomorrow is a 1980’s style sci-fi fantasy musical comedy. The characters are stand-ins for outdated technology destined for obsolescence. They are cast off and lost in a dark dimension searching for each other. 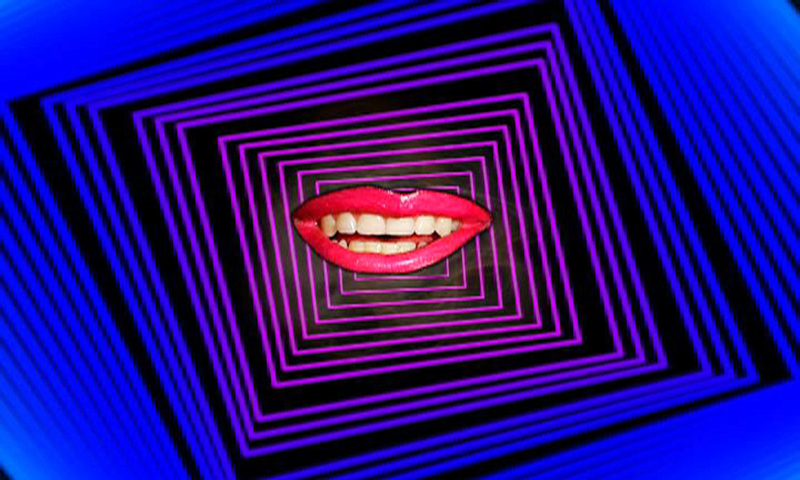 Along the way they encounter the nonsensical incantations from the mysterious, disembodied pink lips. The entire story takes place in a black void as the characters sing a cappella about their circumstance and impending disappearance. Not Yet Tomorrow takes a whimsical look at the perpetual fate of technology through video and sculpture. *The video and sculpture can be shown together or separately.